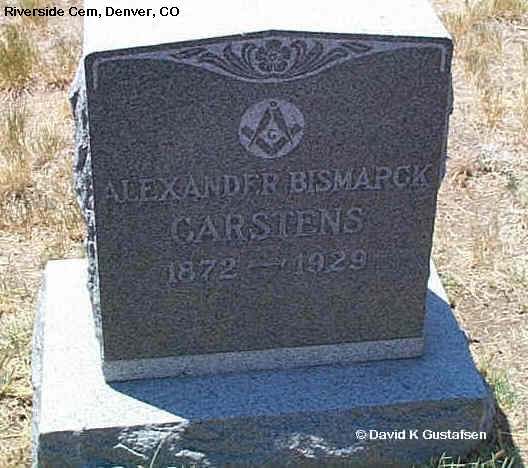 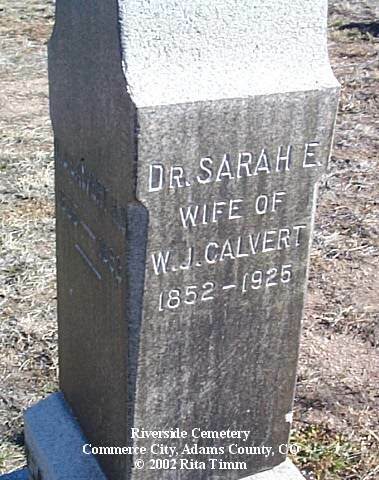 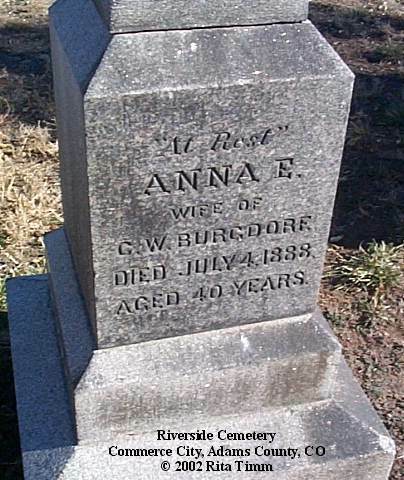 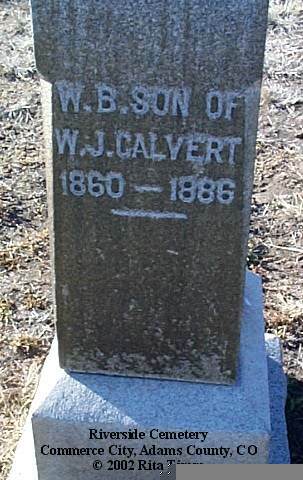 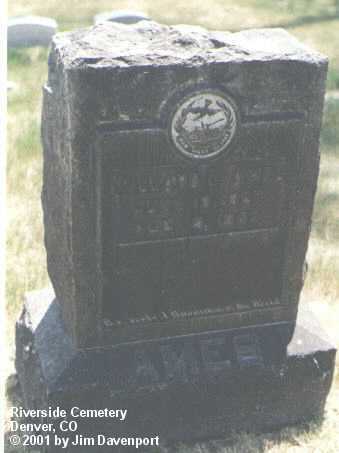 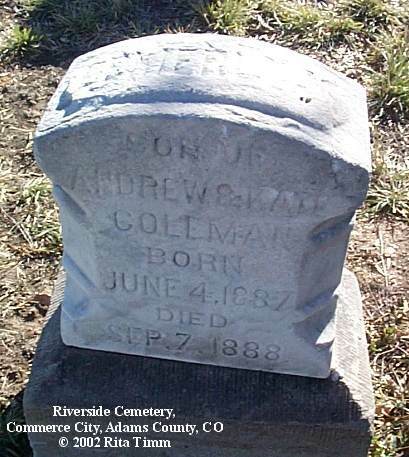 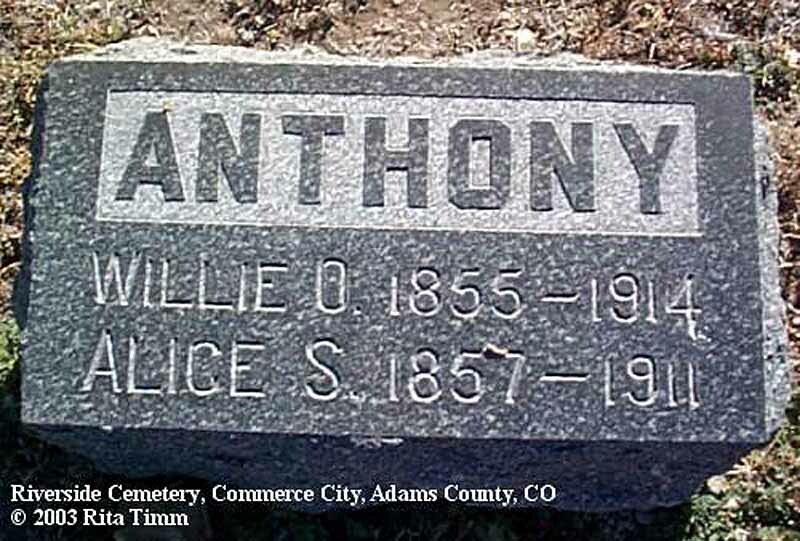 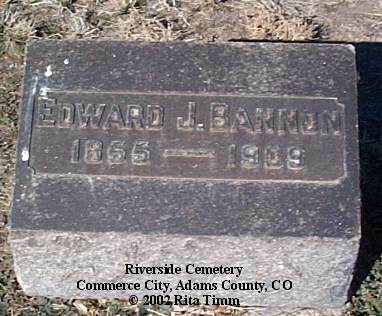 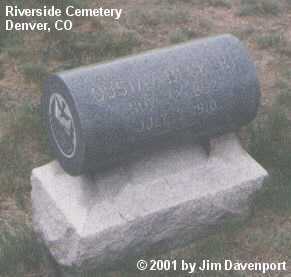 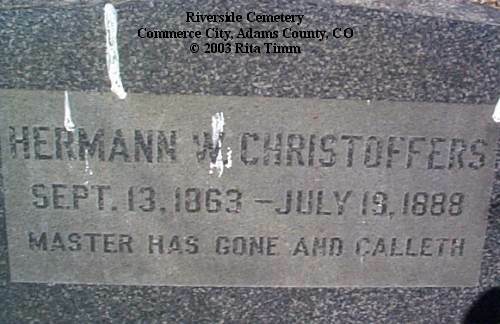 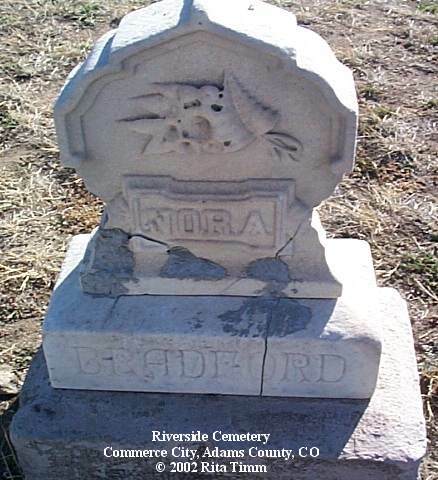 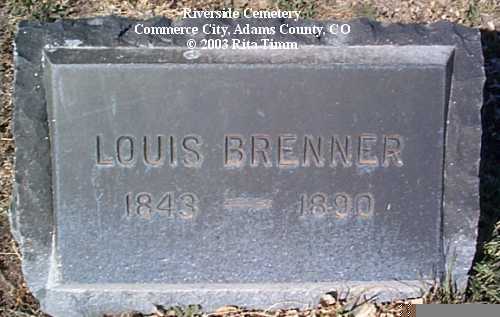 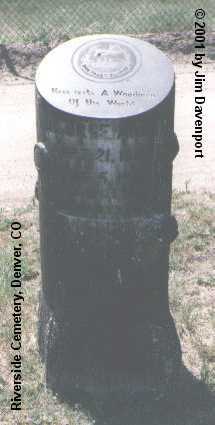 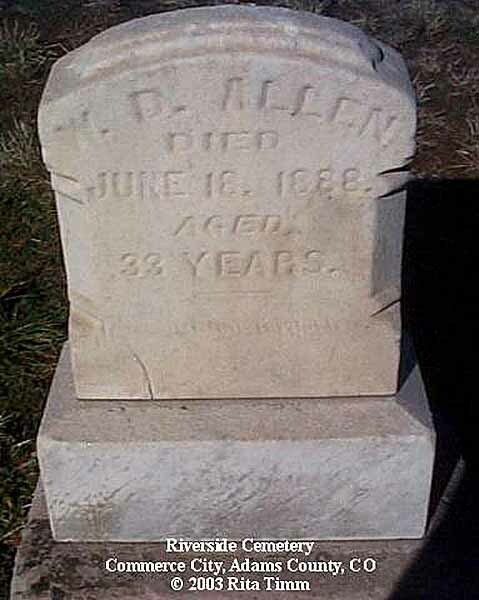 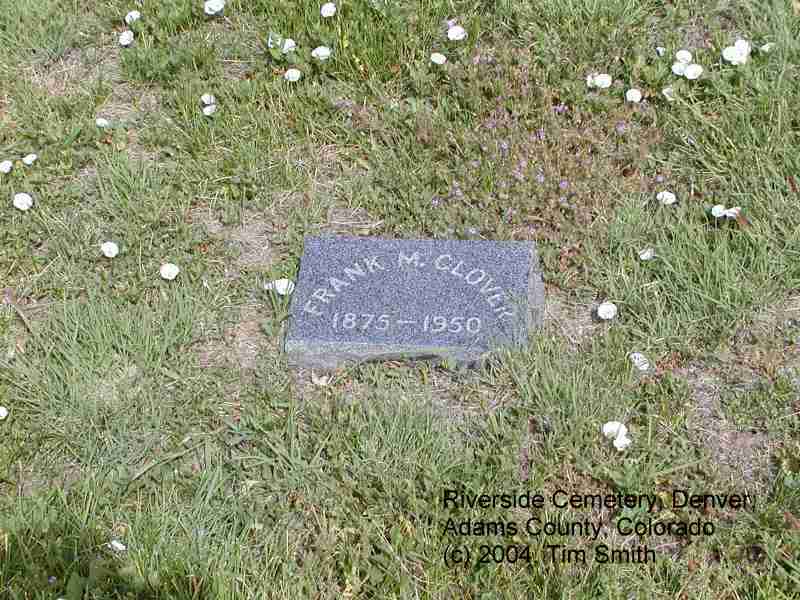 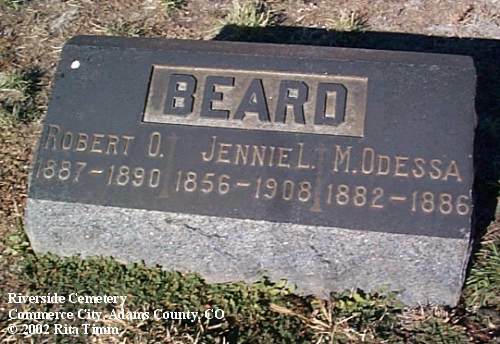 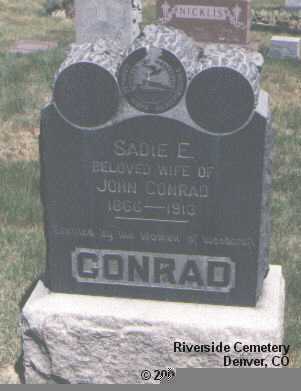 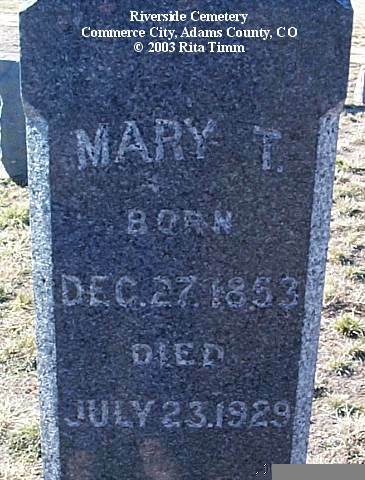 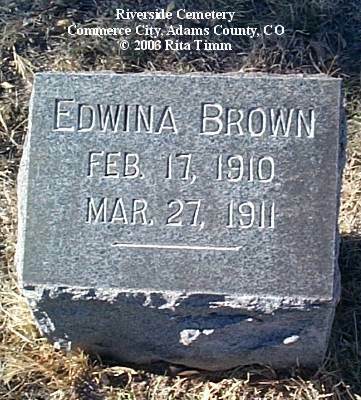 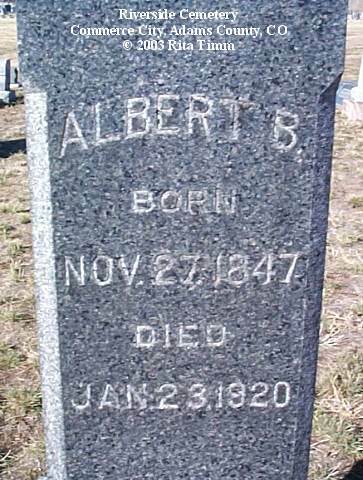 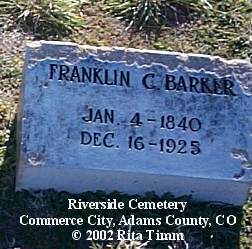 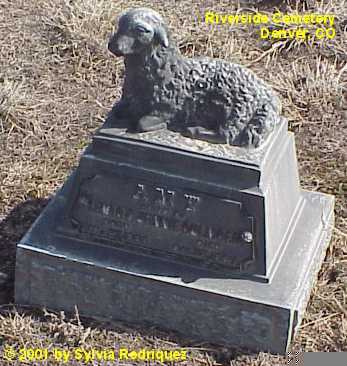 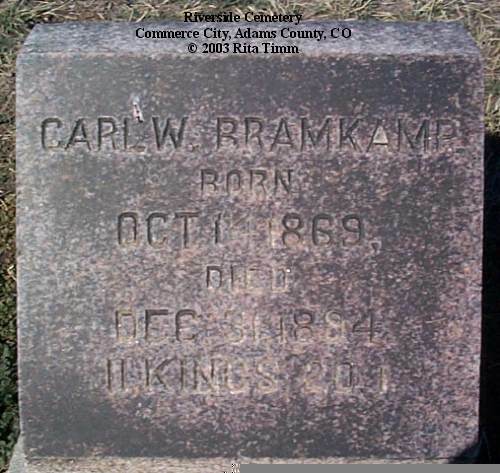 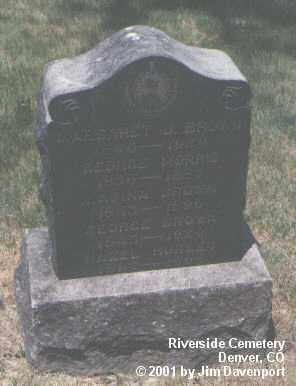 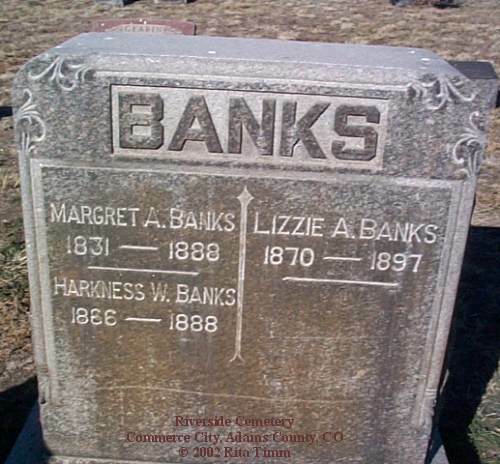 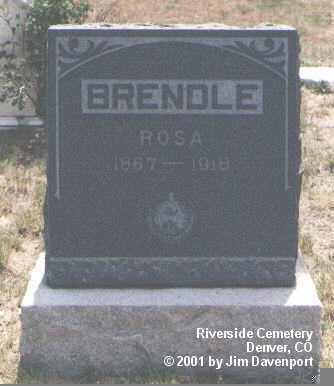 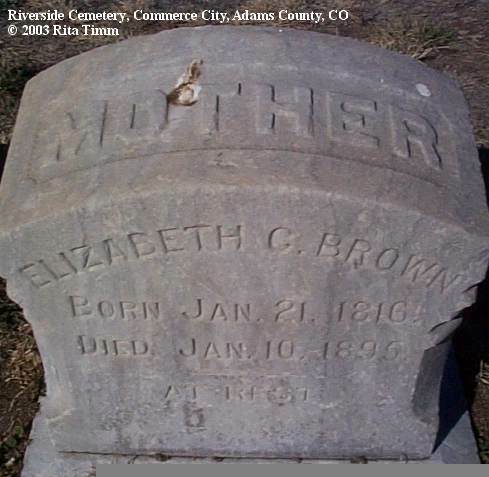 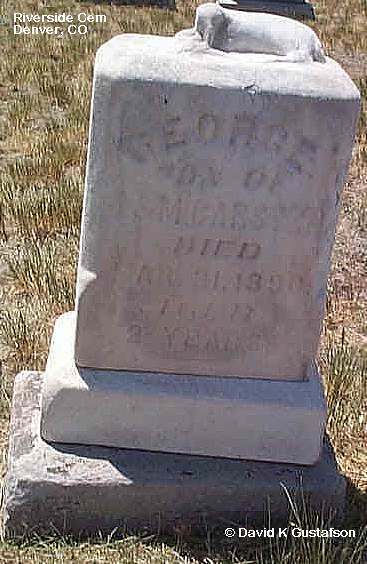 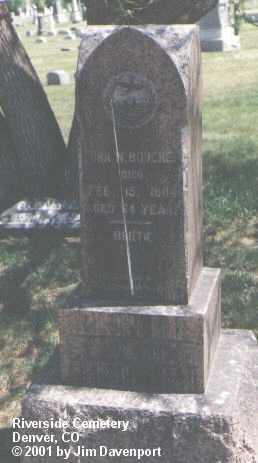 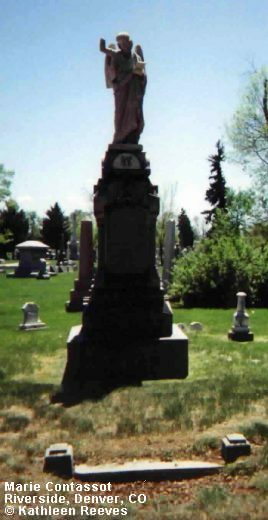 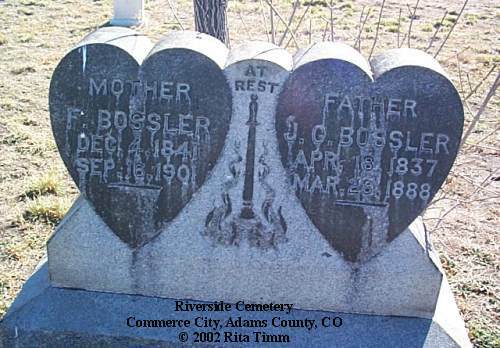 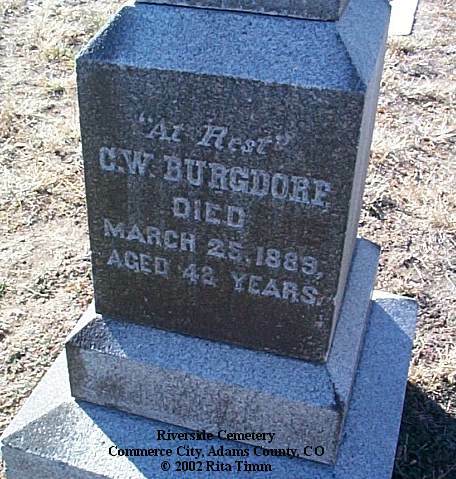 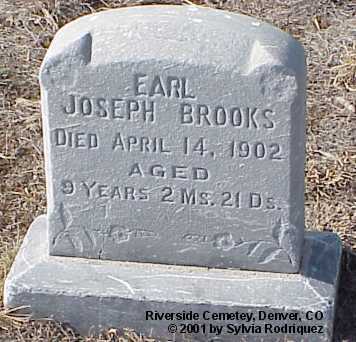 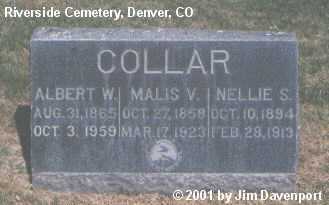 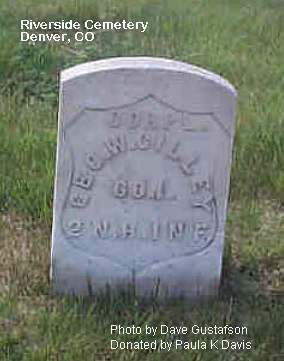 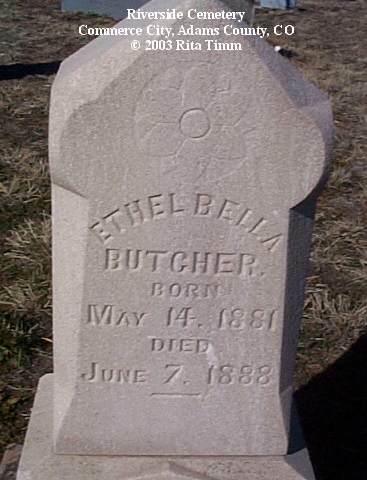 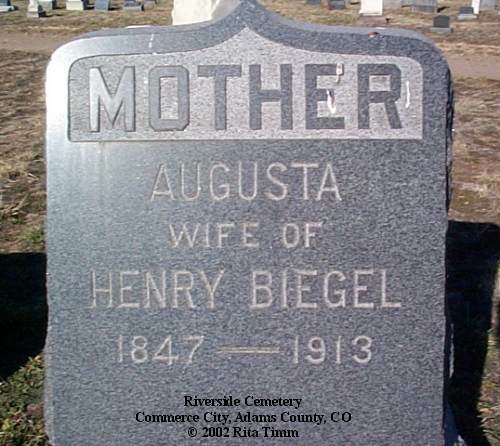 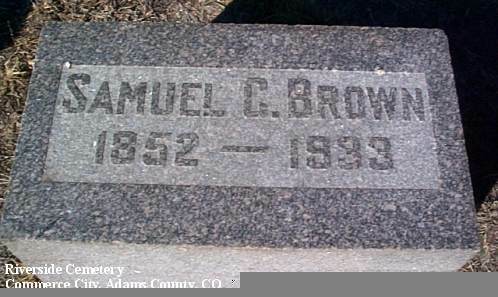 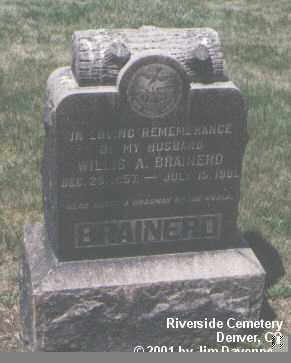 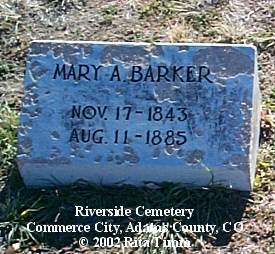 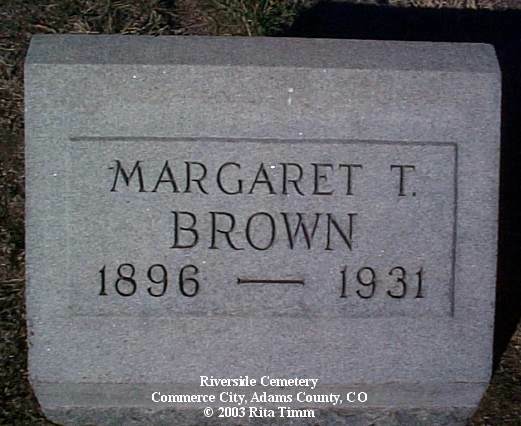 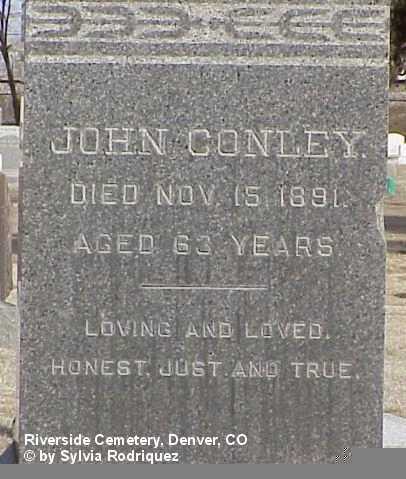 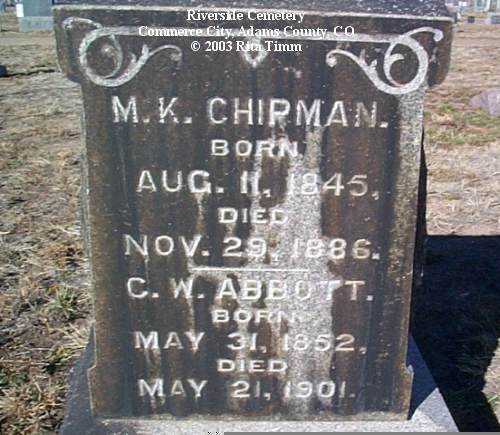 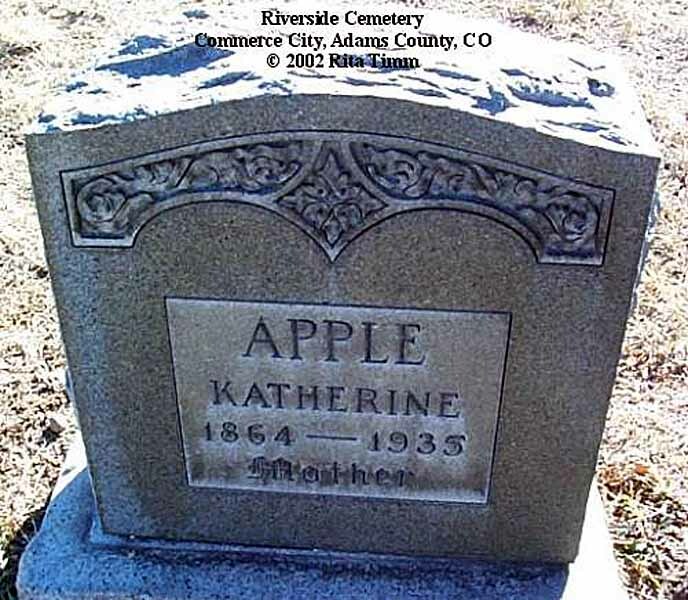 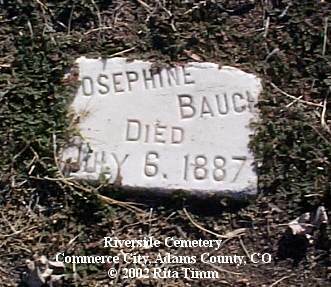 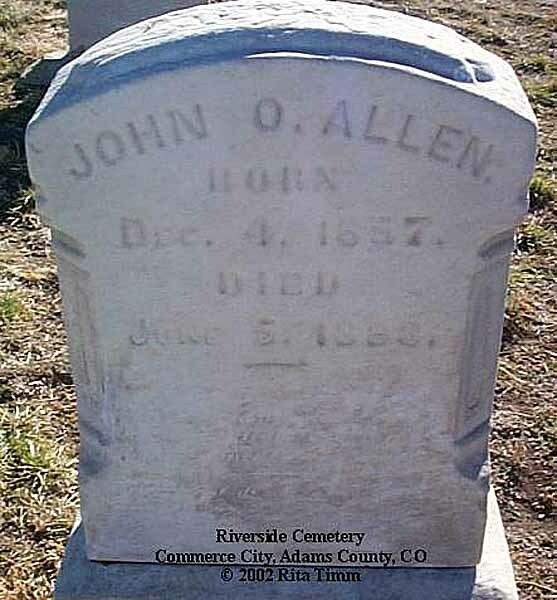 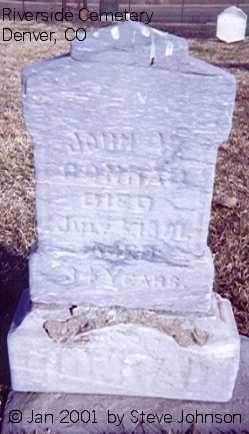 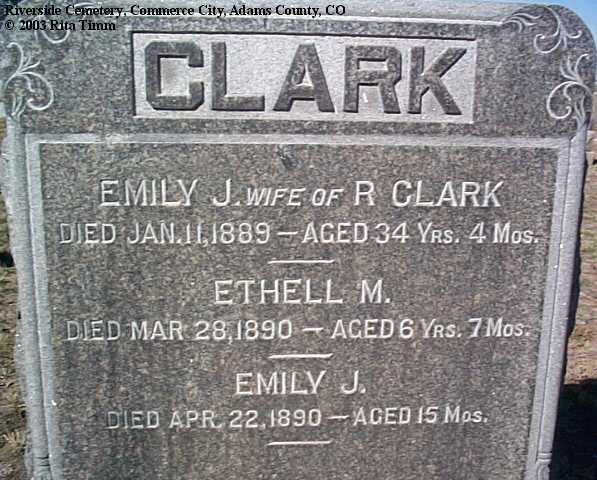 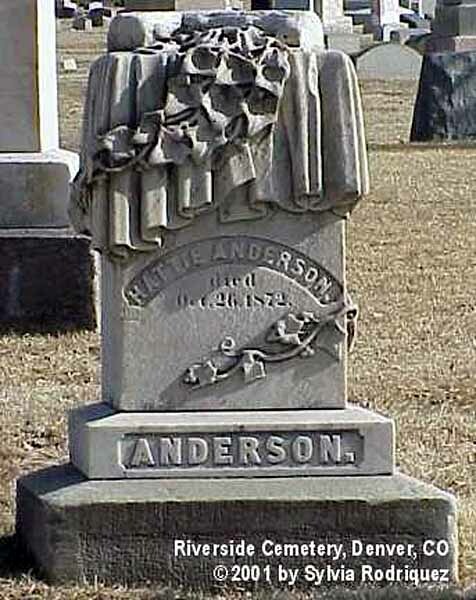 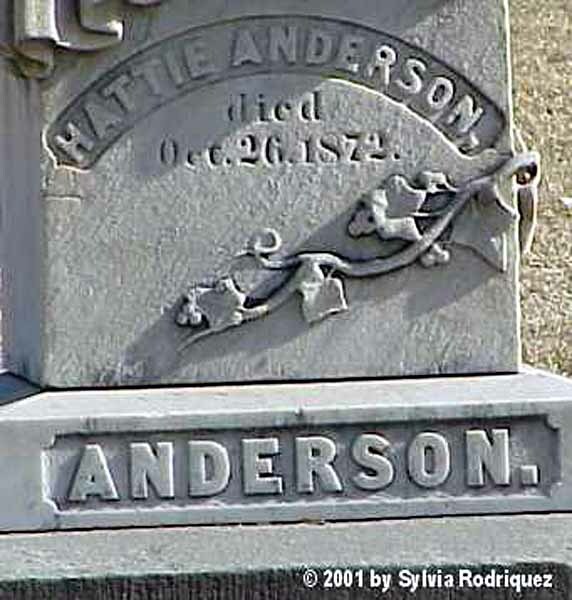 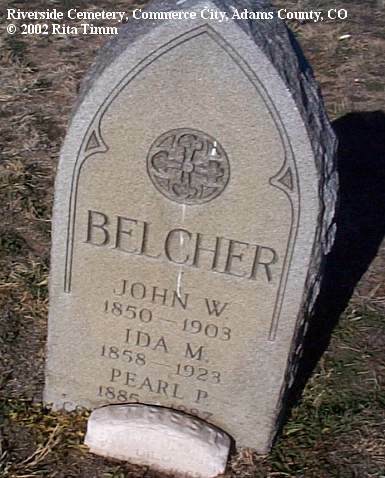 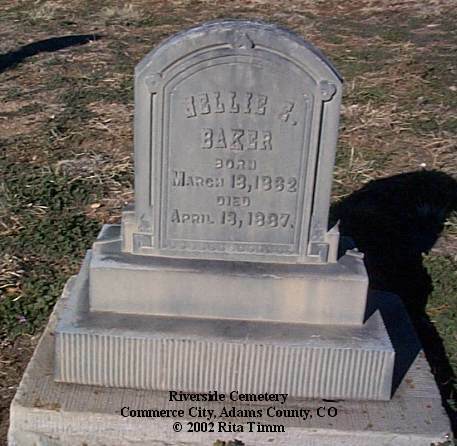 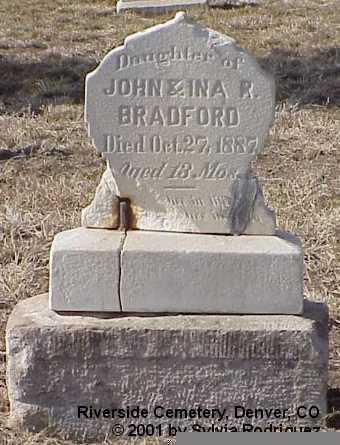 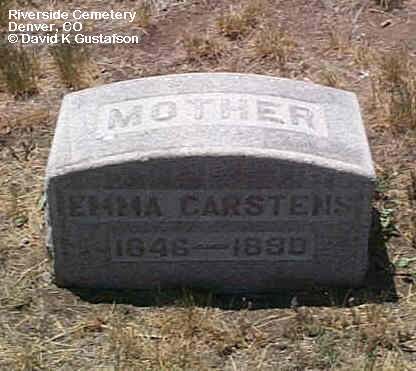 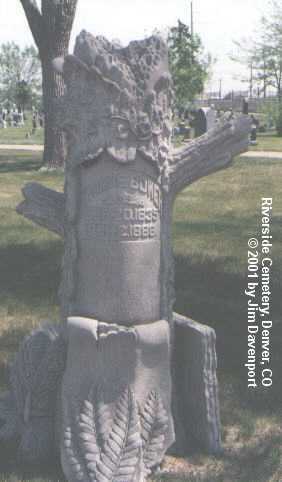 The Riverside Cemetery is on Brighton Blvd at York St, Denver, CO 80259 (barely) in Adams County. 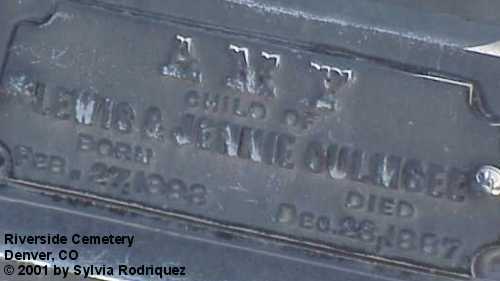 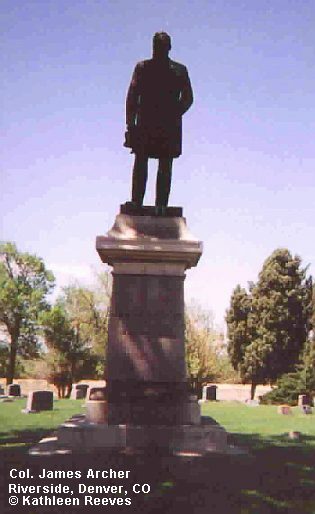 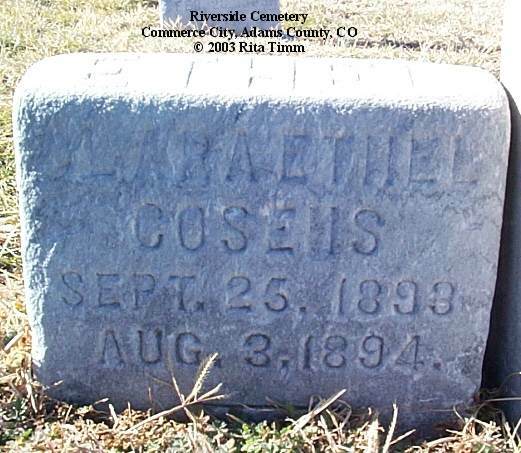 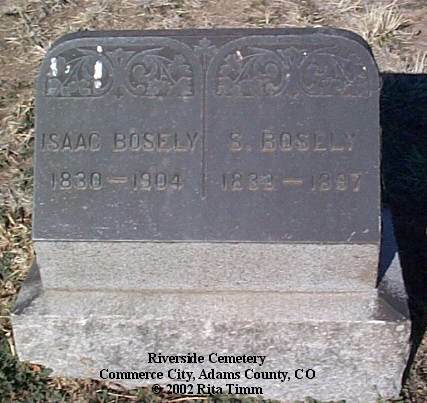 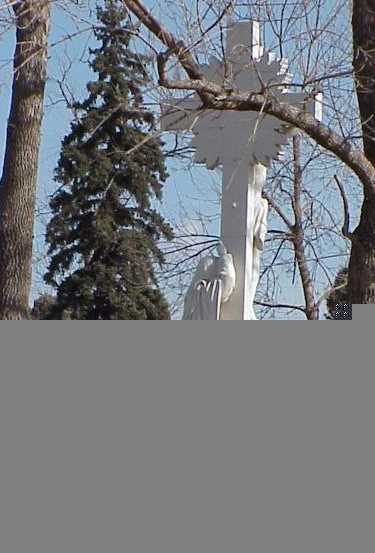 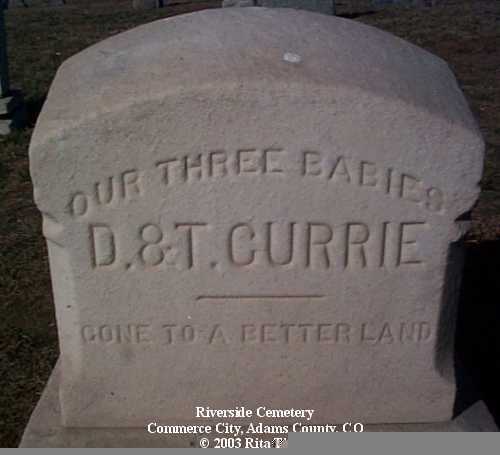 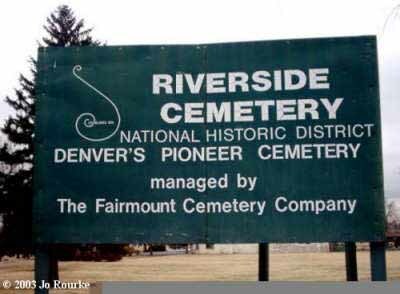 Established in 1876 to replace the dilapidated 1859 Denver City Cemetery, Riverside is Denver's oldest active cemetery and features ornate monuments honoring Denver's leading citizens. 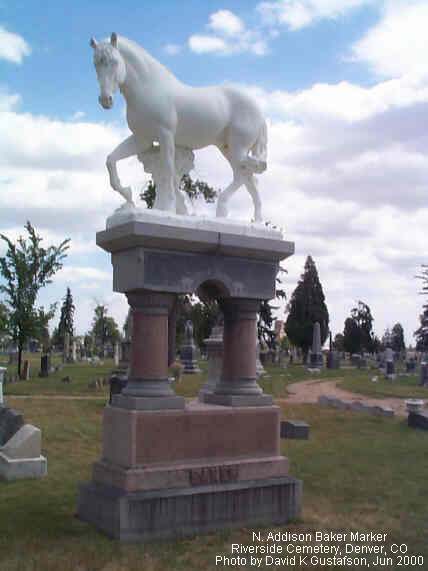 Two prime examples are the Lester Drake log cabin by stone cutter/artist M. Rauh and the N. Addison Baker life-size horse erected by his daughter because "He loved horses more than his own blood kin." 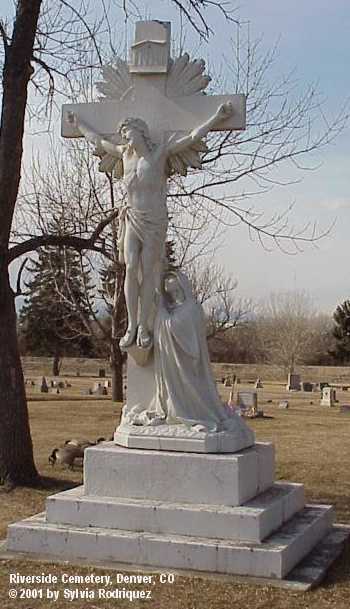 The cemetery also features some lovely pieces of funeral art like this crucifix (back view). 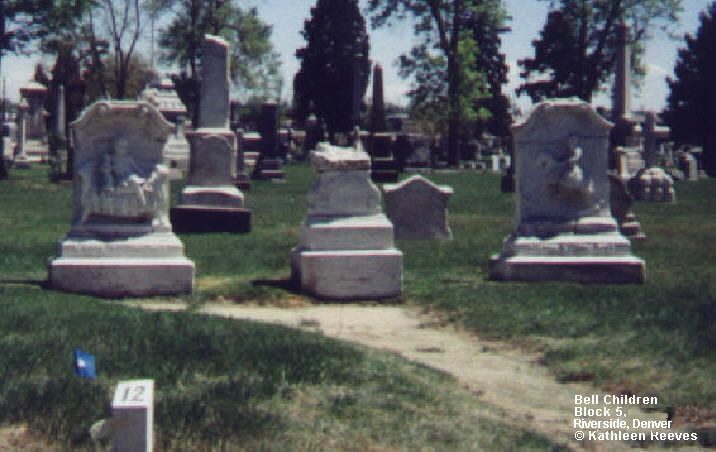 In an attempt to preserve the beauty and historic value of the cemetery it was designated a National Historic District in 1994. 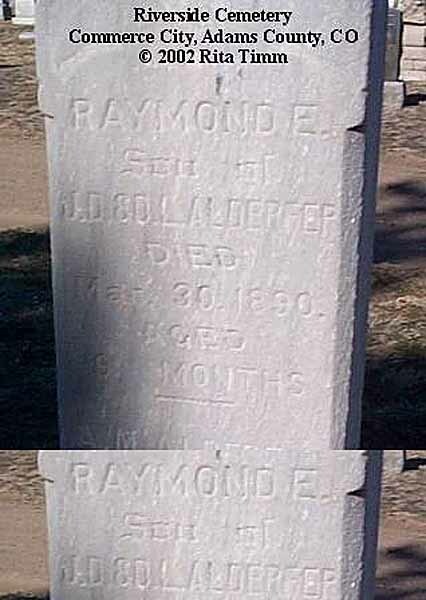 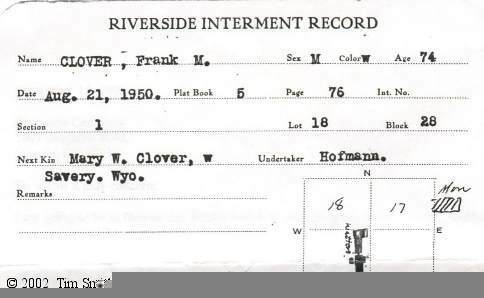 Items underlined in black are uncertain. 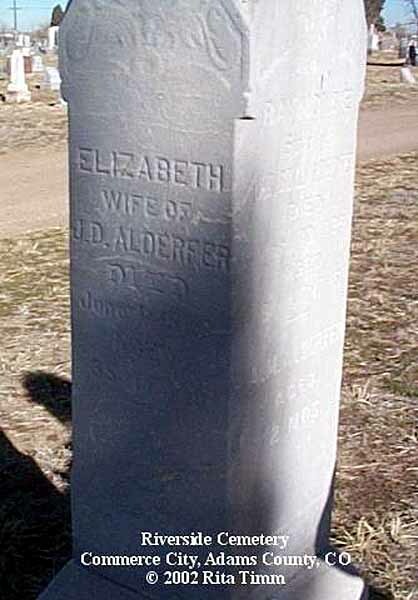 Maria Elisabeth Johannsen, daughter of Peter & Maria Elisabeth (Peters) Johannsen, b. 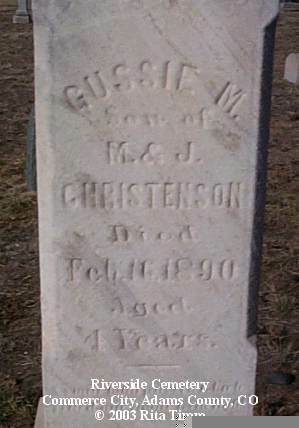 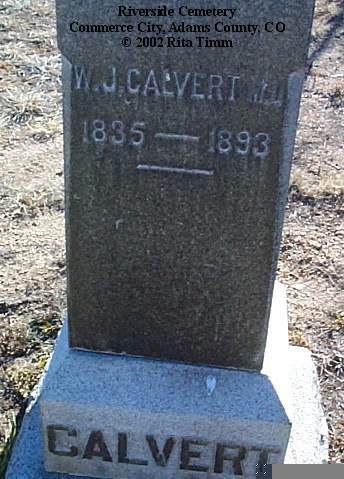 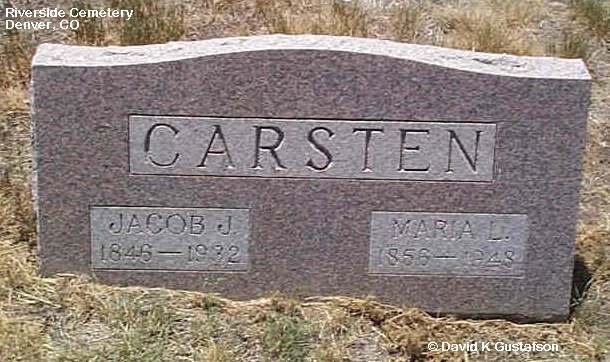 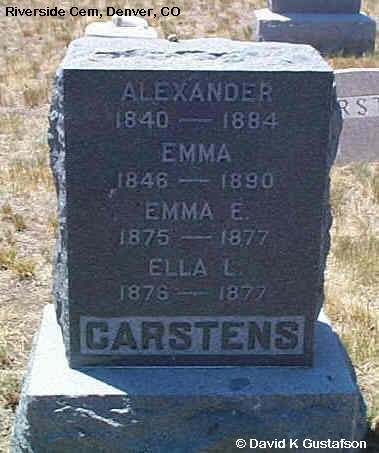 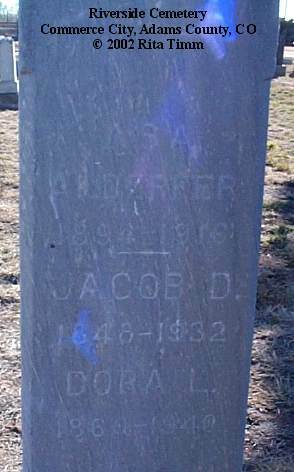 18 Mar 1857; d. 6 Mar 1948; m. Jacob Carsten 14 Feb 1877; emigrated from Germany 1883. 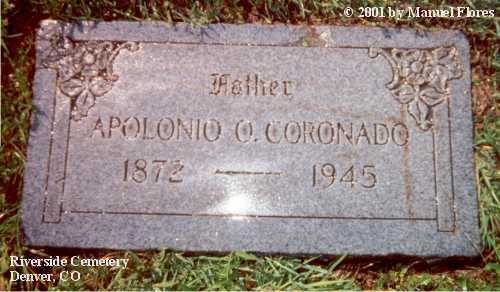 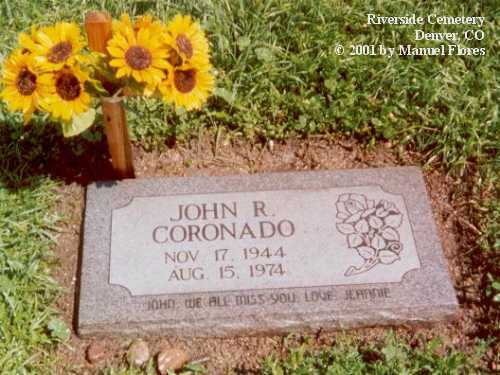 Grandson of Apolinio O. Coronado above.